This is my last Malaysia post for this year, promise. 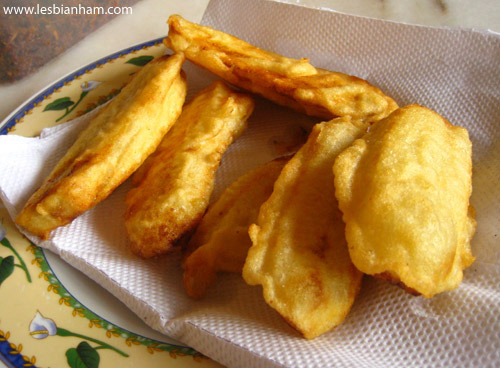 I miss banana fritters when I’m Sydney, because we don’t get the right sort of bananas and I can’t be arsed deep frying anything. 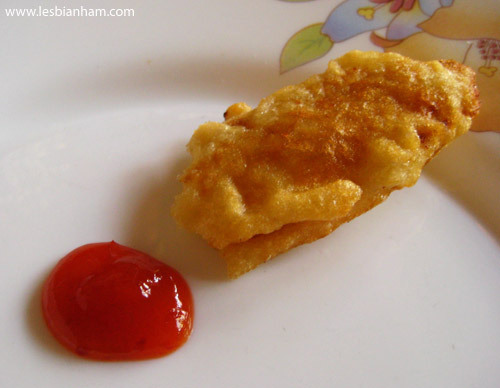 Thankfully deep frying is a large part of any Malaysian household and is one of the easier things that my mum makes for breakfast. You read that right. 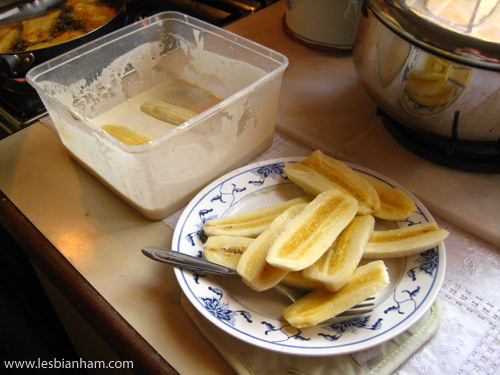 DEEP FRIED BANANAS FOR BREAKFAST. 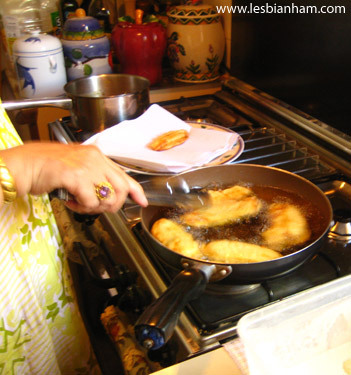 The batter is just plain flour, a bit of rice flour, water and a pinch of salt. Sometimes my mum adds a bit of turmeric for colour. My mum has mad bling. They start out healthy and end up DELICIOUS. 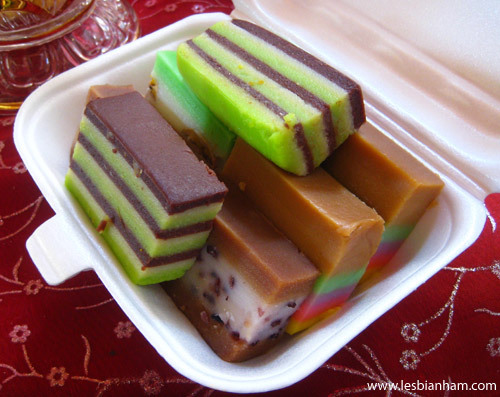 Malay kuih made with glutinous rice flour. My jeans say that I’m now paying for every bite of that business!